Within the event editor, scroll down and click the "Registration Form" tab within the left hand navigator to start creating a registration form. After you click the “Create Registration Form” button you’ll be able to select from three different types of questions to add to your form. 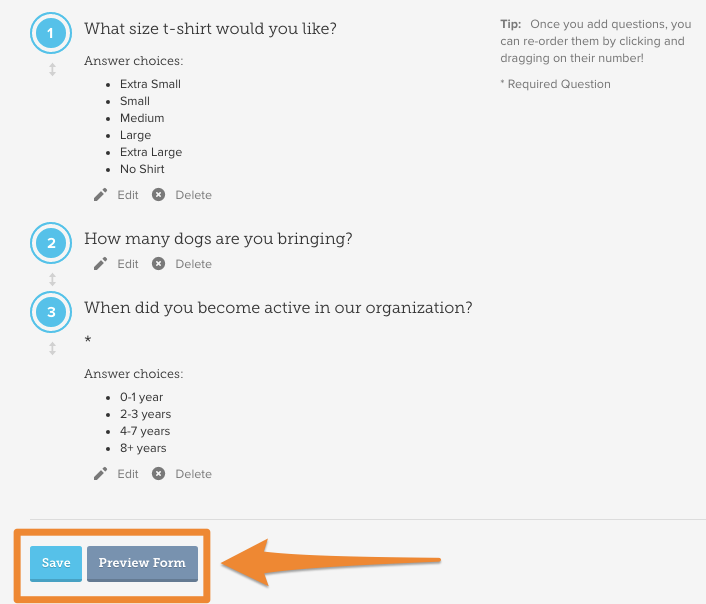 You can add any combination of open ended questions, single-select questions, or multi-select questions. 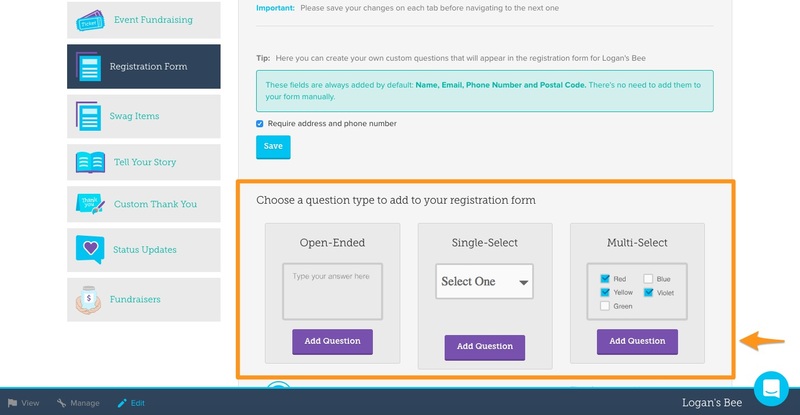 To begin creating your form click “Add Question” under the type of question you want to add. After selecting the “Add Question” button, a form similar to the one below will populates. Here you’ll want to type your question in the box and check the box below it if you’d like to make the question required. To add answer choices to a "Single-Select" or "Multi-Select" question, click “Add Choice” and fill the response in the text box. Once your question is complete click the “Save” button. Once you have added your questions, you can re-order them by clicking and dragging their number to the spot you want. Once you’ve completed your registration form, click the blue save button. To preview what your registration form will look like to your supporters, click the “Preview Form” button.